This completed fire pit is ready for pickup and installation. It has been cured for 28 days and is ready for its first fire! Call 978-742-9800 to order this completed Boston Blend Fire Pit. For some, the fire pit is the ultimate gathering centerpiece – for others, it’s the best tool for roasting marshmallows. We offer outdoor fire pit kits designed to burn wood with the ability to be seamlessly fitted for a gas burner. The ready to veneer design allows limitless possibilities when choosing a rock finish. 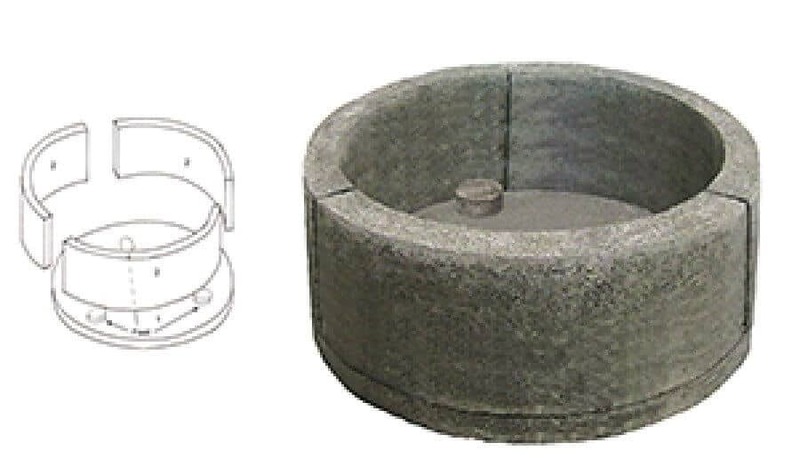 Our fire pit kits are designed with refractory concrete and rebar to ensure your fire feature will stand up to the tests of time. 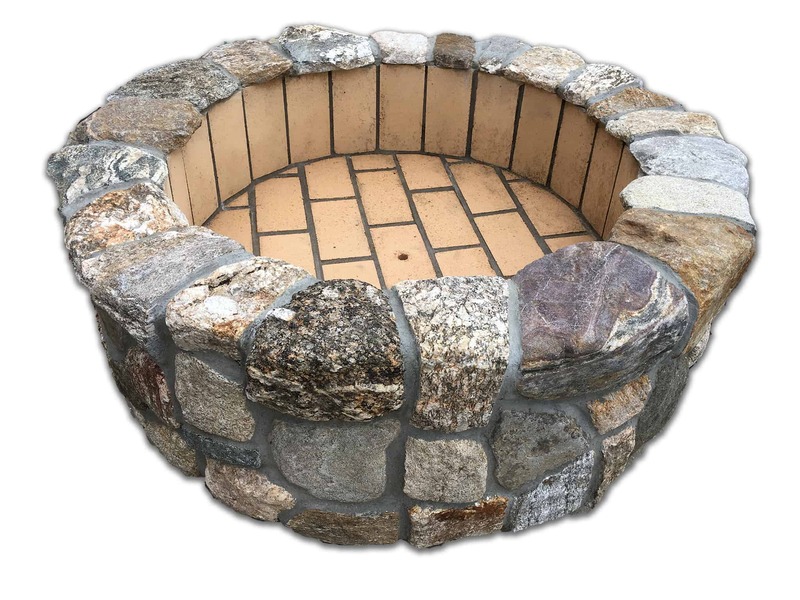 They are designed for a quick, easy installation and come in both circular, and now the popular “square” fire pit. 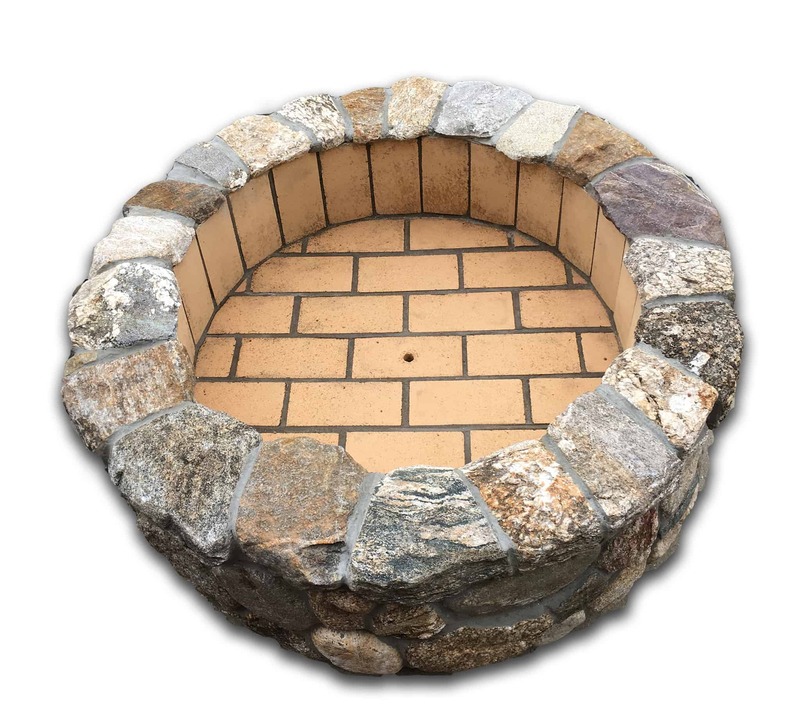 Call 978-742-9800 to order this completed Boston Blend Fire Pit. This fire pit was completed with Boston Blend™ Round Thin Veneer flats, and the cap Boston Blend™ Thin Veneer corners. This completed fire pit has been cured for 28+ days. It is ready to fire.